Win a $75 Gift Certificate to LifeStart Fitness! Congratulations to Joren Robles on winning our fifty fourth High Five Giveaway and thank you to all who entered! 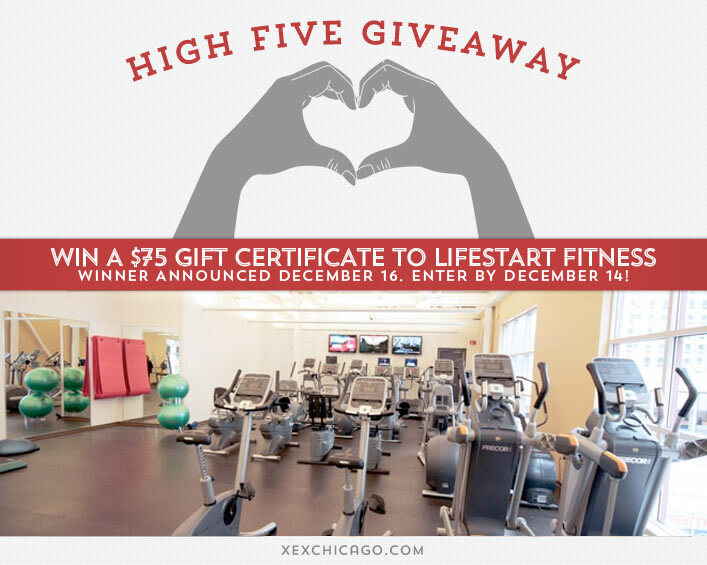 Our next High Five Giveaway is for a $75 gift certificate to LifeStart Fitness (A free one month membership). Lifestart at Executive Sports & Fitness Center is a corporate fitness center that is open to companies within the building as well as to the public. ESFC is open from 5:30am-8:00pm Monday-Friday. Not only is ESFC a fitness facility but it is also wellness network, offering various wellness services such as Health Profile and Health Risk Assessments, blood pressure screens, cholesterol screens, biomechanical screens, various in house wellness events and quarterly and monthly wellness programs. The gym is fully staffed by Exercise Physiologists who all have obtained a 4 year degree our higher. In addition to wellness they also offer various group exercise classes, personal training packages, Bootcamp specials, Massage, Basketball and Volleyball court and many more. A full line of weight and cardiovascular equipment is available. The locker rooms are full amenity providing members with towels, shower amenities, permanent lockers, a dry sauna and much more. Lifestart at Executive Sports & Fitness Center is located at 77 W Wacker within the United Building in Chicago. Their phone number is 312.849.2322. Visit their website at www.lifestart.net/. Should you use a metal or plastic comb to help beat static hair? Now, just add a comment to this post with the right answer to be eligible to win! The winner will be announced on Monday, December 16. Entries must be received by midnight on Saturday, December 14. NEVER use plastic. Metal comb is the way to go. Happy Holidays! Avoiding plastic combs is best for combatting static hair. Use a metal one instead! Wow, you gave us permission not to wash our hair everyday. Hmmmm, I still think I will wash everyday though. Use metal. I use metal hot Combs to press out my hair from the roots. It makes my hair straight. Metal! Ground that electrical connection. Metal combs should be used instead of plastic.